Variety is the spice of life, and it’s certainly adding vitality to summer at the Norton Museum of Art in West Palm Beach. Through its Masterpiece of the Month series, the Norton has been displaying some striking — though seldom-exhibited — works by renowned artists. The series opened in May with Lucien Freud’s The Brigadier. The life-sized portrait remains on display, along with several Freud prints. 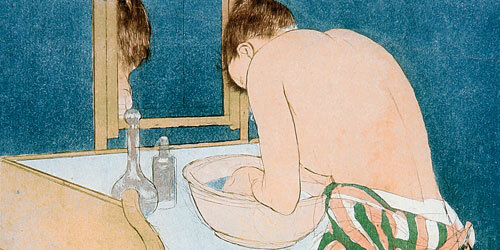 It was followed this month by four works on paper by impressionist Mary Cassatt. July features Dorothea Lange’s haunting photo Migrant Mother. Salvador Dali’s Portrait of Marquis George de Cuevas makes an appearance in August. The series finale in September features the early 18th century Chinese court portrait, Yinli, Prince of Guo.